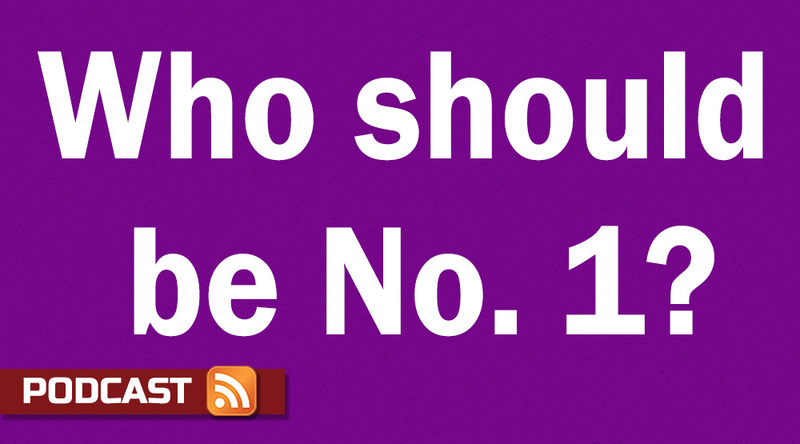 Around the Nation Podcast 210: Who should be No. 1? On Sunday, Pat Coleman and Adam Turer each got a chance to weigh in on the legacy of John Gagliardi, and Keith McMillan does as well. Plus, we give you the key takeaways from the top 10 shootout and the top 10 shutouts, and Pat talks to the team that snapped a 33-game losing streak. That, along with game balls and much more in the latest D3football.com Around the Nation Podcast. 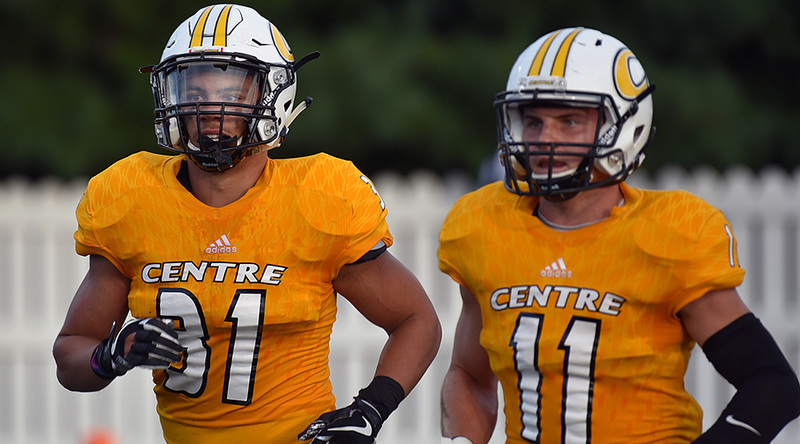 The crew is picking the Cougars to make some noise this week, as well as the Colonels, while everyone has their eyes on the clash in the OAC. Our regular crew is Keith McMillan, Ryan Tipps, Pat Coleman, Adam Turer and Frank Rossi. Our sixth spot goes to a guest each week, and this week’s is Greg Thomas, Wabash fan and regular D3football.com contributor. Which game is the Week 4 game of the week? Keith’s take: No. 15 John Carroll at No. 1 Mount Union. More on the line in SAA, CCIW & CC, more talent here. Ninety and 110 points over two games, so best D wins. Ryan’s take: No. 15 John Carroll at No. 1 Mount Union. I think JCU is a bit high in the poll, but I’m game to be proven wrong. Pat’s take: No. 15 John Carroll at No. 1 Mount Union. As said on the podcast, only wish it were later in the season. Adam’s take: No. 15 John Carroll at No. 1 Mount Union. The only game between ranked opponents; a heated rivalry between the two best teams in one of the nation’s best conferences. Frank’s take: No. 15 John Carroll at No. 1 Mount Union. No way to buck the trend here, even if voters have JCU higher than I do (20). To me, Mount Union punches its playoff ticket with a win here. Greg’s take: No. 15 John Carroll at No. 1 Mount Union.It isn’t too early to call this a de facto OAC championship game. The Streaks pose the last legitimate threat to Mount Union until late November. Keith’s take: No. 24 Franklin & Marshall. If the Diplomats survive Susquehanna, they’ve got Muhlenberg and Johns Hopkins next. Ryan’s take: No. 22 Wheaton. Millikin has been my sleeper team since the preseason. Here’s their first big test. Pat’s take: No. 20 RPI. There’s less of a chance for any losses this week, but Keith shamed me into having to pick someone. Adam’s take: No. 17 Berry. The Vikings keep proving me wrong, but a road game at Centre is yet another stiff SAA test. Win this, and I won’t pick against them again. Greg’s take: No. 17 Berry. Centre is red-hot and the Vikings are going on the road to play under the lights. This one has upset warning signs all over the place. Keith’s take: Augustana. IWU put up 31 on UW-La Crosse and 24 on Wheaton, so I think they can surpass 7 here. Ryan’s take: Belhaven. The Blazers haven’t yet faced an opponent as skilled at finding the end zone as ETBU. Pat’s take: Grinnell. With 20 points allowed in two games, the Pioneers travel to St. Norbert. Adam’s take: Augustana. The Vikings have allowed just seven points, but face IWU, which has averaged 27.5 points per game against stiff competition. Frank’s take: Texas Lutheran. 14 points in two games. And then UMHB comes to town, having scored 159 points to two games. Actually, this is the “gimme” pick. Greg’s take: Texas Lutheran. The question here is really when UMHB eclipses TLU’s season points allowed total of 14. I say by the end of the first quarter. Keith’s take: Albright at Widener. Teams that haven’t been so low as .500 since 2010 come in each 0-3. Somebody wins. Ryan’s take: Carthage at Washington U. Last week was tough, but I’d like to see how the Bears perform in Game 2 of their new conference. Pat’s take: Dean vs. Becker. Dean isn’t eligible for the playoffs yet, but their 0-3 is better than Becker’s 0-3. Adam’s take: Augsburg at St. Olaf. The Oles could improve to 4-0, equaling last year’s win total. The program won just six games total from 2013 through 2016. Frank’s take: Lycoming at FDU-Florham. In fact, I’ll be in attendance. Hear more about this game from me in today’s ATN Podcast. Greg’s take: Carthage at Washington U. After a respectable CCIW debut against North Central, I’m curious to see if the Bears can get a league win against a team that took UW-Oshkosh to the wire. Neither Kean nor Minnesota-Morris has scored this season. Who will score more this week? Keith’s take: Minnesota-Morris. It’s a coin flip. Both Cougars offenses might get right against an 0-3 opponent this week. Ryan’s take: Kean. The Cougars’ first two opponents were much tougher than Southern Virginia will prove to be. Pat’s take: Kean. I wrote this question to have no easy answer and then spent way too long trying to pick a set of Cougars. Adam’s take: Kean. Southern Virginia is 0-3 and has allowed 27.3 ppg. The Cougars will finally get on the scoreboard and maybe even the win column. Frank’s take: Kean. But this may be by a whisker, with both playing winless teams. Greg’s take: Kean. This question is for the really serious D-III die-hards. Which unlikely 3-0 team falls to 3-1 this week? Keith’s take: Millsaps. Against 2-1 Sewanee. Even the “surprise” 3-0 teams (Marietta, Kalamazoo, St. Olaf) weren’t “unlikely,” so it was either this or Rowan. Ryan’s take: Rowan. Against a ranked team like Frostburg, the Profs will fall. Pat’s take: Marietta. The stadium might not be underwater but ONU will slow right by the Pioneers. Adam’s take: Rowan. The Profs have to face No. 6 Frostburg State on the road. The Bobcats will be hungry to get back to dominating opponents. Frank’s take: Ursinus. After Moravian was side-swiped by Johns Hopkins, the Greyhounds will race circles around Ursinus on Saturday. Greg’s take: FDU-Florham. A surprise leader of the MAC, the Devils’ bid to go 4-0 for the first time since 1988 (yes I did Google that) gets denied by Lycoming. There could be even more blowouts than usual in the Week 4 Top 25 schedule, so we’re hoping for perhaps a couple of surprises, as well as a great showdown between No. 1 Mount Union and No. 15 John Carroll. Otherwise, the games this week could include a lot of blowouts. So, our correspondents have focused on some great matchups in the middle of conference races, or games that could shape conferences after surprising opening weeks. Keith looks at who will win games in HCAC play, while Pat is asked about whether games will remain close. Plus, we talk with Kean coach Dan Garrett. He took the Cougars on a two-game opening of the season that resulted in some struggles on defense, and no points on the scoreboard. Why did he schedule the non-conference game he scheduled? 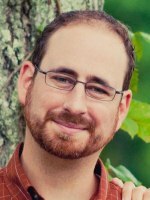 Garrett is quite frank about it, and gives good insights into scheduling, as well as motivation and more. Meanwhile, Pat and Keith preview the big games, plus a random game, and talk about exercise. That and more on the Game Day version of the D3football.com Around the Nation Podcast. 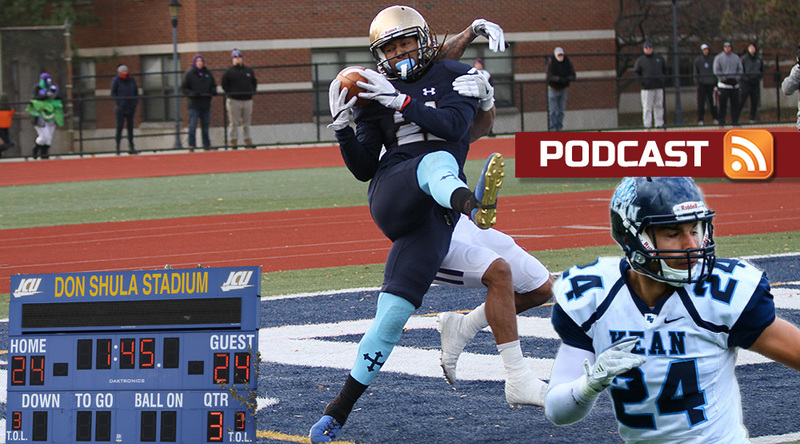 The D3football.com Around the Nation Podcast is a regular conversation between Pat Coleman and Keith McMillan and guests covering the wide range of Division III football. Purchase Football For a Buck: The Crazy Rise and Crazier Demise of the USFL from Amazon (and D3football.com gets a buck or so in the process).